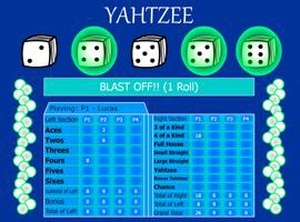 Yahtzee is an electronic version of the classic board game with the same name. My Grade 12 Computer Science partner, Christopher Pashartis and myself created it as a final project for the course. You have the ability to play with up to four players, and can also store high scores in the high score table which is saved locally. Adobe Flash is required to view this content. However, you may download it instead.